International Baseball Partners (IBP) released information about its upcoming Cuban player showcase scheduled for the Dominican Republic. According to IBP President, Mike Powers, the showcase will take place on Thursday, January 24th at Estrella Stadium in San Pedro de Macoris from 9: 00 am until 12:00 pm. 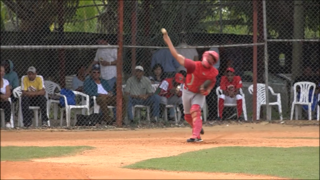 The showcase includes top Cuban prospects as well as several players from Venezuela. Headlining the event is Cuban outfielder, Miguel Rafael Pita Bejerano, a highly touted five tool player that is an impressive 6’4 195 pounds. One veteran MLB scout believes Pita has the tools to star in the big leagues. He’s already caught the attention of scouts with a quick, electric bat and a plus arm and glove. He’s projected for center field because of his sub 6.6 speed but “his arm plays well in right field too”, according to the scout. In addition to Pita, big right-handed pitcher, Yuri Jose Torres Lopez will be on hand to lead a talented group of pitchers. Torres is 6’3 205 pounds with a heavy 95-96 mph fastball. 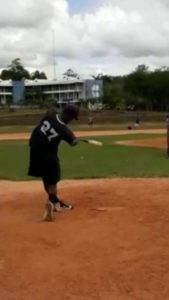 Shortstop, Ramon Miguel Mojena Morales (6’2 175) is another quality shortstop in a long line of middle infielders from Cuba. His size, range, glove and bat will play well at the next level according to reports. 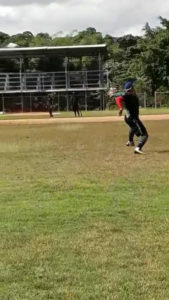 Venezuela catcher, Jose Ciruci (5’10 185) clocks an impressive 1.78 – 1.82 pop time and delivers at the plate with comparison’s to Boston Red Sox slugger, Steve Pierce according to observers. Powers also announced a showcase for “July Second” players eligible to sign for 2019, 2020 and 2021. The showcase is scheduled for Friday, January 25th from 9:00 am to 1:00 pm at the University of UASD Stadium in Santo Domingo. Players from Cuba and the Dominican Republic will be on hand to impress scouts. Nine pitchers are scheduled to appear including 2019 eligible, Cuban left-hander Nomar Medina, as well as 2020 eligible 6’6 right-hander, Anderson Evangelista from the Dominican Republic. Cuban outfielder, Josue Mago Vasquez, a 6’3 strong, power hitter will be on hand as will Dominican catcher Edison Guillermo Carrasco Baez, a big, athletic burgeoning star with a 1.80 pop and great swing. Those interested in more information can contact Mike Powers (410) 458-5747 or Joel Bradley (954) 478-3859. 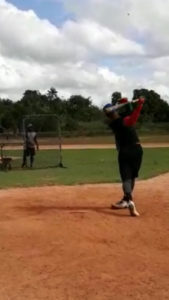 NOTES: 5 TOOL GRADES, 6.5 – 60 YDS, ATHLETIC BUILD, QUICK ELECTRIC BAT WITH POWER, PLUS ARM AND GLOVE. NOTES: STRONG ATHLETIC RUNNER, POWER SWING. NOTES: ABOVE AVG GLOVE AND RANGE, 6.9 – 60, HITS FOR AVG W GAP POWER. NOTES: STRONG BUILD, GOOD HANDS AND RELEASE; GAP POWER. NOTES: TOUGH ON RHH; EXCELLENT OFF-SPEED DELIVERY. NOTES: DOWNHILL THROWER PHYSICAL GAINS AHEAD. NOTES: TALL WITH LINEAR PROGRESSIONS; BIG UPSIDE. NOTES: FB 95 -96 WITH GOOD MOVEMENT TO RHH, SLIDER SOLID 2ND PITCH CHANGE SELLS, REPEATABLE PITCHES. NOTES: GOOD TRANSITIONS, SOLID SPINS, MOUND IQ. NOTES: ATHLETIC FRAME, SMART, SITS 88-89, GOOD SPINS. NOTES: SOLID BUILD, FRAMES WELL, AGILE, BLOCKS WITH A 1.78 – 1.82 POP! POWER SWING. NOTES: 2021 ELIGIBLE; FAST WITH UPSIDE. NOTES: FREE AGENT; EXCELLENT ATHLETE WITH GOOD BAT ANGLE AND POWER. NOTES: 2019 ELIGIBLE; ATHLETIC FRAME WITH GROWTH GAINS AHEAD; FRONT CONTACT HITTER. NOTES: 2019 ELIGIBLE; RANGE AND RELEASE WITH GREAT ANTICIPATION AND VISION. NOTES: 2019 ELIGIBLE; TALL WITH GROWTH AHEAD; GOOD ARM ACTION. NOTES: FREE AGENT; TALL ATHLETIC BUILD WITH MORE GAINS, ELECTRIC FASTBALL 90-92 WITH SPINS. NOTES: FREE AGENT; ATHLETIC FRAME, POWER DELIVERY; DEPTH SPINS. NOTS: 2019 ELIGIBLE; BIG BODY WITH GAINS AHEAD, FLUID WITH LINEAR DELIVERY. BIG UPSIDE. NOTES: 2019 ELIGIBLE; CLEAN DELIVERY, FB 90-91, GROWTH GAINS AHEAD, BIG UPSIDE. NOTES: 2020 ELIGIBLE; VERY TALL WITH GROWTH GAINS STILL; GOOD ARM SPEED. NOTES: 2019 ELIGIBLE; 88-89 FASTBALL WITH GOOD ARM SPEED. NOTES: FREE AGENT; LINEAR WITH DECEPTION, AGGRESSIVE DELIVERY. NOTES: FREE AGENT; SOLID BUILD, ADVANCED PLAYER; GREAT SWING PATH WITH POWER! NOTES: FREE AGENT; GOOD SETS; QUICK TRANSFER; GAP ABILITY. NOTES: 2019 ELIGIBLE; BLOCKS WELL, EXCELLENT AGILITY. NOTES: 2019 ELIGIBLE; ATHLETIC BEHIND THE PLATE. NOTES: 2019 ELIGIBLE; ATHLETIC FRAME WITH MORE GAINS; GOOD DROPS AND ANGLES; SQUARES THE BALL. NOTES: 2019 ELIGIBLE; SWIFT RUNNER, AGGRESSIVE BAT. NOTES: 2019 ELIGIBLE; ATHLETIC FRAME, POWER BAT, BIG UPSIDE. NOTES: 2019 ELIGIBLE; FAST, SOLID CONTACT HITTER. NOTES: FAST WITH ATHLETIC SWING; GOOD BASEBALL IQ. NOTES: 2020 ELIGIBLE; BIG FRAME WITH POWER SWING; EXCELLENT UPSIDE. NOTES: 2021 ELIGIBLE; WILL BE A TOP POSITIONAL PLAYER IN THE 2021 CLASS. NOTES: 2021 ELIGIBLE; GOOD RANGE AND ARM FROM THE OUTFIELD AND SOFT HANDS IN THE MIDDLE. NOTES: 2019 ELIGIBLE; GREAT RANGE AND ARM. NOTES: 2021 ELIGIBLE; TALL ATHLETIC MOVEMENT; CONTACT HITTER. NOTES: FREE AGENT; BIG, ATHLETIC BUILD, POWER SWING.